At the Window Store we offer one of the largest ranges of roofline products including fascia’s, soffits, cladding, cellular board, window board, architraves, and skirting together with a range of commonly used trims and accessories. Our extensive range means you can get exactly what you need all from one reliable supplier. As an authorised Swish Windows & Doors stockist all our products are available from stock on very short lead times. Every product range includes a selection of styles and sizes; for example, we offer vented soffit varying from 150mm right up to 450mm, or hollow soffit from 100mm to 300mm.We offer Shiplap and Open Vee cladding, and you can select from our classic fascia, square edged fascia, Ogee fascia, flat fascia or bullnose fascia. Our comprehensive and versatile range ensures you have the right products for every project. 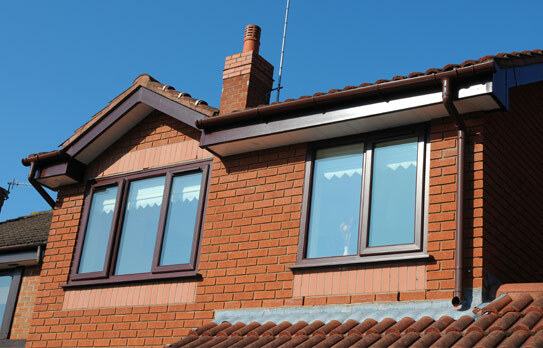 As well as being available in a range of sizes, our roofline products are available in a stylish selection of colours including White, Mahogany, Rosewood, Light Oak and Black. Our products will not suffer from discolouration problems and come with a 10 year guarantee. Our complete range of roofline products can be viewed in our Product Guide, to download a copy simply visit our marketing download section. Alternatively if you would like a hard copy or would like any advice or a free quotation contact your local branch.